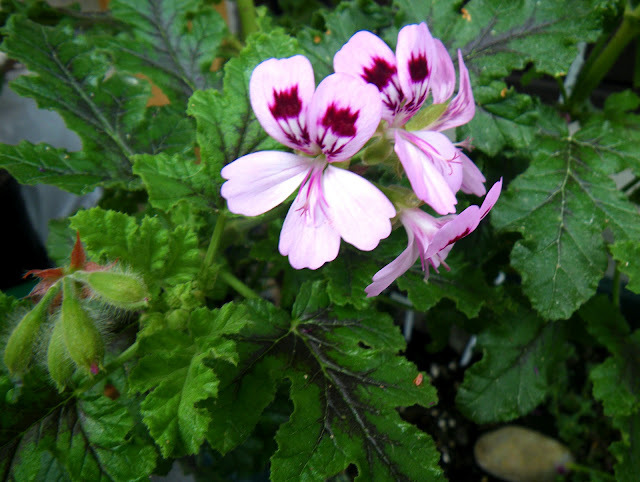 Pelargoniums with balsam-scented leaves add a little spice to our garden. Strongly balsam scented with pine, oak or mint notes, some varieties are really pungent being more appropriate as insect-repellent ;-). Glandular hairs cover the irregularly divided leaves which have a range of variation in shape: from deeply divided to pinnately lobed, some very sticky, other with dark purple-markings in direct sunlight. Native to South Africa, they are very resistant plants thriving through ravines, near streams, or on lower slopes of the lower mountains. 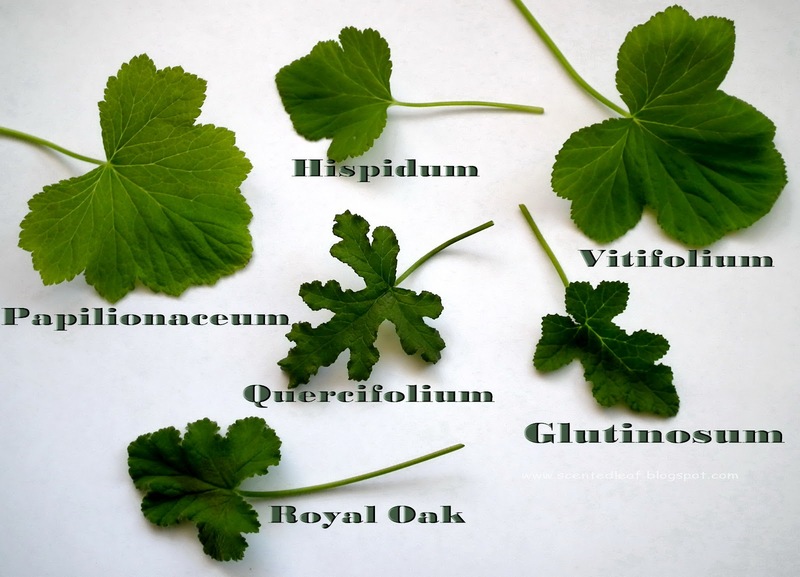 They like a sandy soil mix and grow well in shade to semi-shade areas. 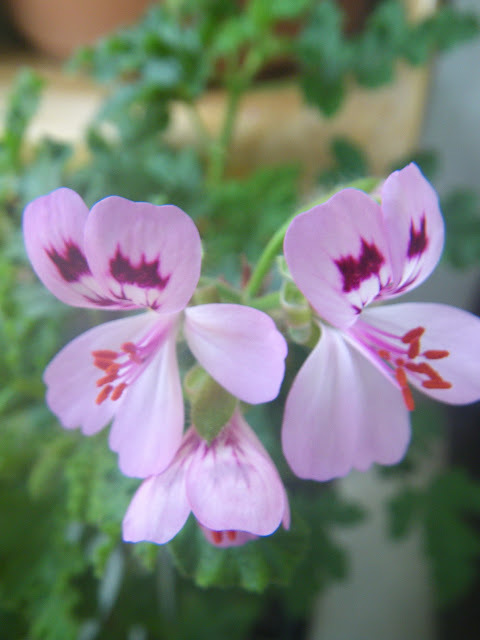 Somehow specials, balsam scented pelargoniums really require water to encourage a healthy grow... so it is important to water them regularly. 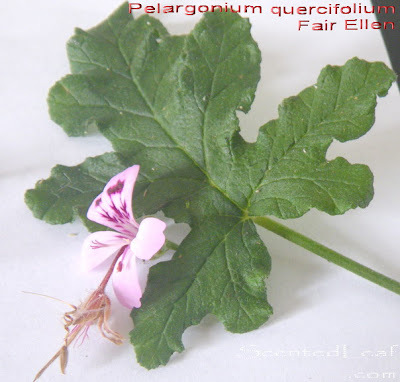 First balm-scented pelargonium by our collection was "Fair Ellen", a compact hybrid with deeply divided leaves who really do look like the leaves of the Oak tree. Later on, we've decided to enlarge our collection and we started some batches of new varieties (from seeds ordered from South Africa) like: Quercifolium, Hispidum, Glutinosum, Royal Oak, Vitifolium, Papilionaceum and Panduriforme. The plants were initially potted in small soil blocks (made with a special mold - left side in picture), and have been moved into larger plastic pots after the third set of leaves have appeared. 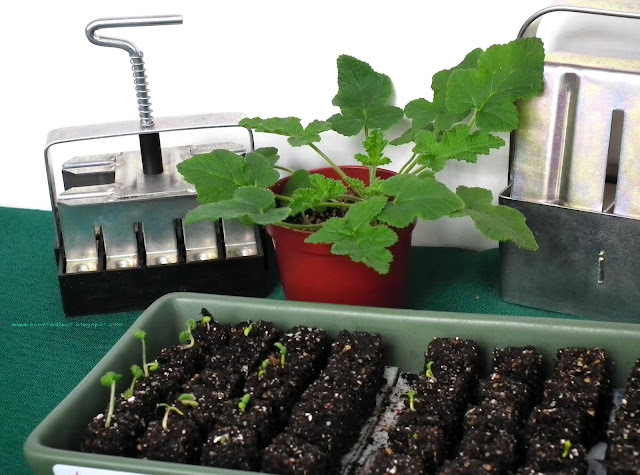 Pelargonium seedlings potted in soil blocks. Last year, some of the plants were blooming, being covered for several weeks by large pink flowers with purplish-pink blotches (quercifolium, glutinosum and panduriforme) and in autumn made a lot of seeds. Some seeds have gone in various countries (sold through our eBay Store or Etsy Store ), others became seedlings, still waiting to warm-up to be moved outside definitively. 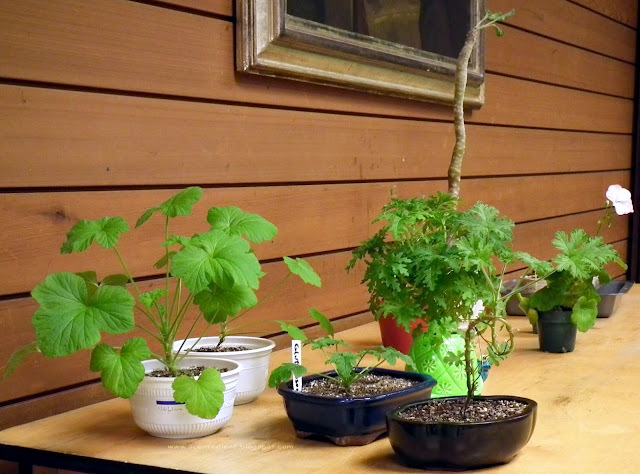 This Sunday, at the March's meeting of "Canadian Geranium & Pelargonium Society" we took with us seedlings of Glutinosum, Vitifolium and Papilionaceum, and we discussed about which method we've used to grow them from seeds and also about their growing habits, the shapes and scents of their leaves. The balsam scented pelargoniums are very popular as ornamental plant in landscaping due to their vigorously growing habit as erect (1-5 feet height), branched shrubs spreading quickly in rocky slopes. Some varieties have been used also as aromatic plants and medicinal plants since ancient times. 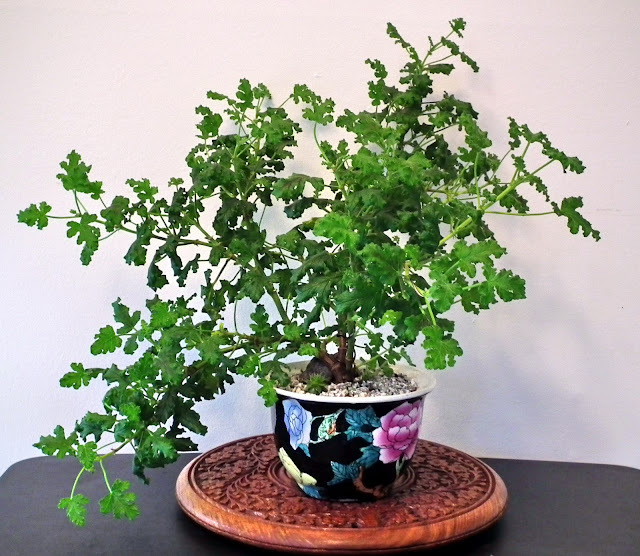 I love the ones planted in the bonsai pots. If the purpose of the shampoo is to clean very well the hair and remove the excess oil, cosmetics or dust, the purpose of balsam is to hair hydration and protect the natural oils from it. How do you chose the right balsam? If you have normal hair, unpainted or without any speck of dandruff, the best option is a normal balsam, from the range of shampoo for frequent use which you use normally.